A pioneer of the now red-hot Dorchester restaurant scene, Shanti fuses a range of South Asian traditions to create a unique interpretation on classic Indian cuisine. 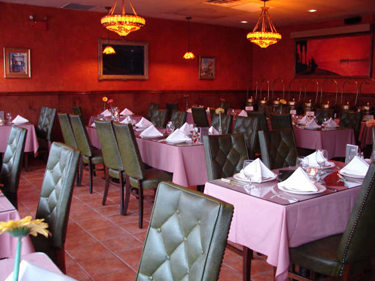 Utilizing classic combinations of fresh coconut, garlic, ginger, mint and other spices, Shanti serves up regional Indian favorites such as Tandoori specials, Vindaloo and numerous Masalas. Traditional desserts such as Rashmalai and Kheer are the perfect ending to any meal, and Shanti also offers a daily lunch buffet, featuring a variety of their popular beef, goat, lamb, chicken and vegetarian dishes. Featuring the area's only Indian wine list, Shanti offers patrons a truly authentic experience. The restaurant has imported handcrafted baskets and classic sculptures from India that line the walls of the dinning room where a mix of South Asian classics as well as contemporary pop hits from the region play. Shanti offers a unique opportunity to truly experience the regional cuisine of Bangladeshi, India and Pakistani in a warm and inviting setting.